The plantar Fascia is the ligament that connects your heel to your toes. Too much strain on this ligament can lead to a condition called Plantar Fasciitis, which can cause pain and swelling in the arch of the foot. In fact, plantar fasciitis is the most commonly cited reason for arch discomfort. Fortunately, in addition to a healthy diet and exercise, supportive insoles can be used to help correct and alleviate the pain associated with this disorder. 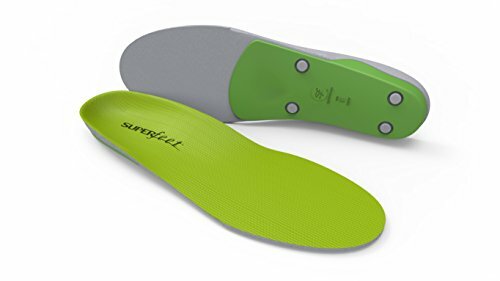 Insoles are removal soles than can be placed inside shoes to improve comfort and help correct abnormally curved feet. With a padded arch and soft heel cup, insoles can help absorb the shock of hard or consistent impact, such as that from walking, and reduce the pain caused by pressure being put on the planter fascia. Insoles are a discreet and inexpensive way to improve any pair of shoes. They are also a easy preventative measure that can be taken to prevent the risk of worsening or compounding foot injuries. For individuals who are required to frequently stand on their feet, insoles can drastically improve their quality of life. Why is it Important to Treat Plantar Fasciitis? An insole is a removal sole that can be worn in a shoe to improve comfort, provide warm, and even correct erroneous movement. Insoles that are worn to improve Plantar Fasciitis typically provide extra comfort and support, particularly in the arch region of the foot. Oftentimes, they are designed to absorb the impact of walking, running, or exercising. They also help to keep a weakened arch from collapsing. While Plantar Fasciitis is most commonly seen in middle-aged adults, it can affect people of all ages. In fact, it is a common injury for runners and people who spend long periods standing. Therefore, a removal insole is a valuable resource for individuals seeking arch support in a variety of footwear. From work boots to high heels, insoles are a discrete way to enhance the comfort and wearability of most types of footwear. Insoles are made from a variety of materials, including rubber, foam, and plastic. The materials are often chosen because of their ability to cushion the foot. Multiple layers of shock absorbing material also help to absorb the trauma of daily activity and reduce the risk of new or worsened injuries. Most shoes do not have the built-in arch support needed to support Plantar Fasciitis. Moreover, not all insoles are geared toward supporting this uncomfortable condition. When selecting a pair of over-the-counter or even custom best insoles for Plantar Fasciitis, be on the lookout for a firm, supportive arch, a deep heel cup, and shock-absorbing layers of cushioning. Moreover, give careful consideration as to how you will be using the insoles. Runners, for example, need an insole that will hold up during enhanced motion, while a person who stands frequently will not. Before choosing an insole, it is important to identify issues specific to your own feet. By carefully considering shape, mobility, and other factors affecting your feet, you’ll be able to select the best possible insole to treat your plantar fasciitis. This is especially important because an ill-fitted or improper insole can make the condition even worse. For many people with plantar fasciitis, pain-stricken, swollen heels are a daily occurrence. While not always the case, this pain is often the result of a foot ligament being pulled too tight. Many times a person’s gait, or manner of walking, contributes to this uneven force. A proper gait is demonstrated by feet that are accurately aligned and, therefore, evenly distributing weight. Over and under-pronation, or inward or outwardly leaning feet can often result in poorly distributed weight, a failed arch, and lack of stability. Typically, these issues demonstrate a dire need for corrective insoles. For individuals with under-pronation, or flat feet, distinctly structured insole heels may be required. For those with over-pronation, wide, cushioned heels are best for cushioning against the shock of daily activities. For people with plantar fasciitis, arch issues are a common denominator. While a normal arch promotes proper foot to ground contact, an atypical arch can fail to properly distribute weight and add superfluous stress to other parts of the body, increasing the risk for injury. Common issues include flat and high arches. To help correct arch issues, be on the lookout for an insole with firm, supportive arch. Moreover, select a product that will support your personal level of physical activity. For example, if you jog frequently, you’ll need an arch with flexibility. When selecting insoles, it is important to consider the material it is made of. Insole materials vary widely between manufacturers but are generally made from a combination of foam, plastic, gel, and rubber. If you’re looking for extra cushioning, foam insoles are a great selection. Memory foam is a great way to guarantee a good fit without indulging in custom orthopedics. While not particularly rugged, it can be easily molded to a shell or laminate base. Moreover, it is lightweight, breathable, nontoxic, and odor-resistant. Another option is the gel insole, these feature gel encapsulated in a plastic bubble. A great benefit of gel insoles is that they tend to last far longer than typical foam insoles. With that being said, they are heavier and less firm than traditional insoles. While they can drastically improve shoe comfort, it may be best to stay away from these if you are in need of firm arch support. Regardless of the material of the cushion, there are a number of other materials used to produce a quality insole. This includes a nonslip gripping material for the base of the insole, felt liners, and adhesives, Keep materials in mind when thinking of breathability, shoe compatibility, and durability. Insoles come in a variety of shapes, sizes, and thicknesses. These varying factors can help you narrow down your choice of insole. Another important factor is size and shape. Insole size should align with shoe size, though occasionally these numbers vary between manufactures. For full-length orthotics, it is often acceptable to trim off excess material to improve fit. 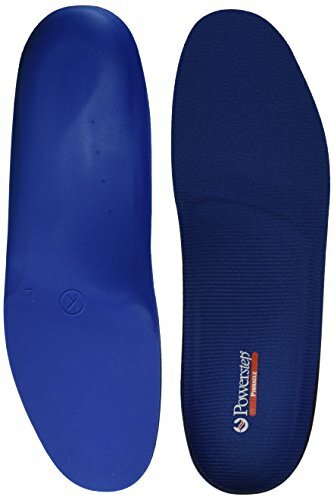 For ¾ length insoles, no trimming is necessary. Insoles should also be geared toward specific types of arches. Wearing an insole with the incorrect arch can worsen pain and discomfort. To help identify your arch type, check out this helpful video. Orthotics, such as over-the-counter insoles, can help people suffering from plantar fasciitis to experience less discomfort and even help correct issues. It does this by improving a foot’s weight support and evenly distributing it over the base of a shoe. From reinforcing a healthy arch to providing shock absorbing cushions below the heel, insoles can help curb early morning pain associated with plantar fasciitis and make standing jobs more tolerable. 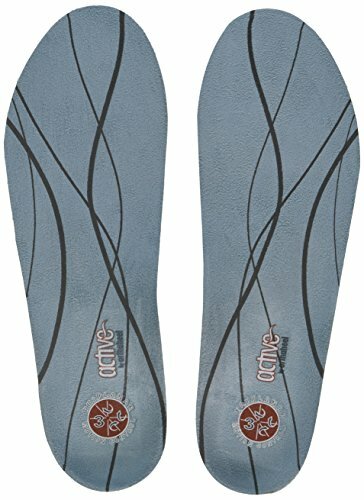 How often do I replace my insoles? Good quality over-the-counter insoles can last anywhere between six to nine months. However, excessive weight, exercising, standing, running, and other activities may require you to replace them more often, such as every two to four months. 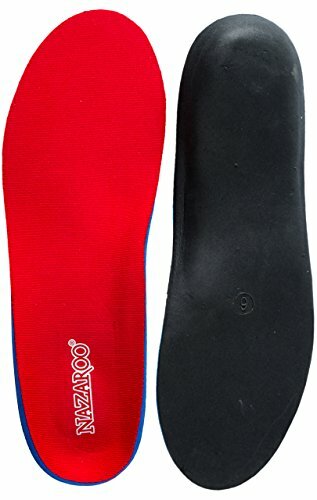 How to I care for my insoles? Each manufacturer offers different cleaning instructions. However, if your shoes become wet from water or excess sweat, it is a good idea to remove the insoles and pat them dry with a clean towel. Depending on the material, a soap and water may be used to remove dirt. 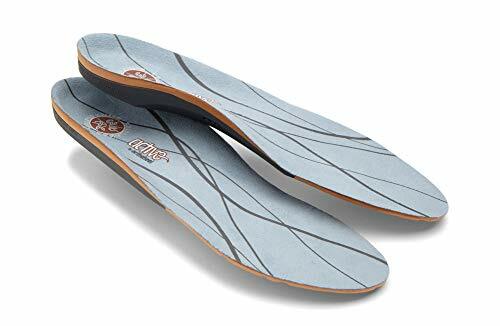 Typically, insoles can only be air-dried. Do not return them to your shoes until both they are thoroughly dried. What if my insoles slip? Insoles should fit snuggly inside your shoe. If your having issues with keeping your insole in place, now my be a good time to measure your foot. While we assume feet stop growing once we reach growth maturity, changes in our weight, the way we walk, or activities we participate in can alter the surface measurement of our feet. 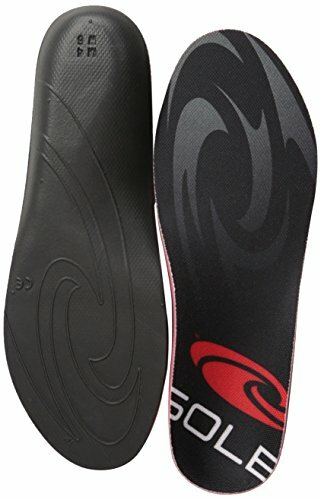 Should I use the same insoles for all my shoes? Once you find the perfect pair of insoles, it can be hard to conceive of making a switch. However, many brands offer different styles of insoles for different uses. For example, while you may opt for a semi-rigid base for your jogging shoes, a rigid orthotic may be more suitable for your close-toed work shoes. Why do my insoles squeak? Unfortunately, insoles occasionally will squeak. Sometimes this is because of an ill fit. If the foot bed is curling up and creasing along the sides of the shoe, it may need to be trimmed back. If this is not the case, the insoles may just need to be broken in. Otherwise, a sprinkling of baby powder can help eliminate a pesky sound. While many foot disorders need to be identified by a podiatrist, there are some obvious factors when it comes to identifying plantar fasciitis. Check out this helpful video if you need help identifying the source of your discomfort. Whether you’ve been diagnosed with the issue or are suffering from heel discomfort, properly fitted insoles can help alleviate much of the pain. 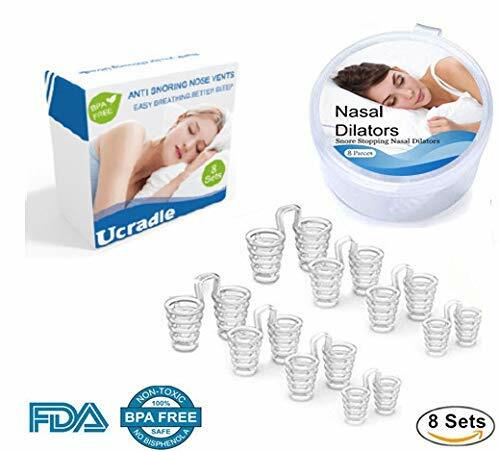 These corrective devices are easy to find and fairly inexpensive too. Alternatively, custom insoles can be made with a prescription. 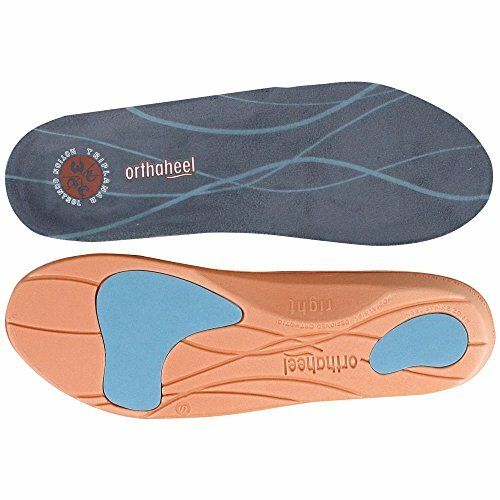 Nevertheless, these orthotics are not always better than the over-the-counter alternatives. The insole market has grown significantly in the past years. 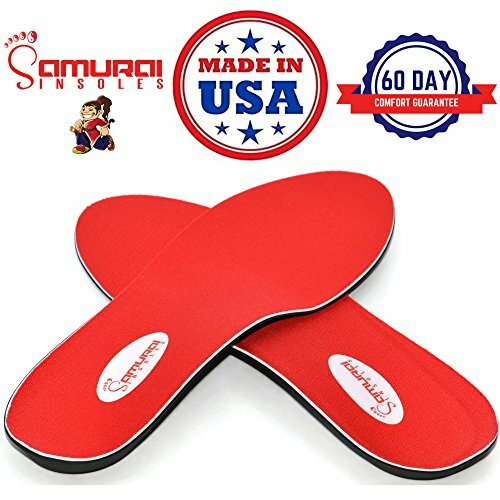 Now, there is a wide range of high quality and even customizable insoles available. Unfortunately, there has been a subsequent influx of poorly made, imitation insoles that can worsen foot conditions. On account of this, consumers should stick to reputable companies when comparison shopping. On another note, over the years there have been major advances in the orthotic industry. While older people may have had poor experiences with their former insoles, newer, more advanced products may be worth putting to the test. Supportive insoles cannot only eradicate the chronic stabbing heel pain associated with plantar fasciitis, but they can prevent long-term issues with the foot, legs, hip, and back. Meanwhile, untreated plantar fasciitis can lead to heel spurs, a plantar tear, planter rupture, or plantar fibromatosis. It can also lead to overcompensation in other parts of the body. Use care when addressing signs of plantar fasciitis. By simply using corrective insoles, replacing worn shoes, and maintaining a healthy diet and lifestyle, you can be well on your way to pain-free feet. 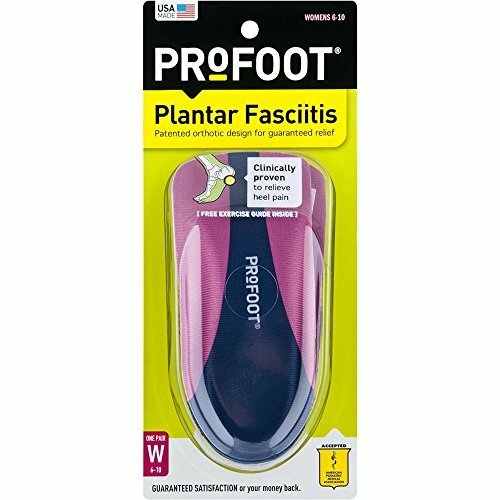 Insoles are an inexpensive, easy way to treat plantar fasciitis. While custom-made orthotics require a trip to the podiatrist, insoles found in drugstores and sporting good stores are often just as effective in treating the condition. Moreover, unlike orthopedic shoes, insoles offer suffering from painful plantar fasciitis flexibility when it comes to embracing both style and comfort. In our review section, we discuss the difference between different feet types and identify the various styles of insoles. From cushioned heels to supportive arches, no stone goes unturned in the quest for the ultimate relief from plantar fasciitis. Foot Guru Copyright © 2019. The information contained on FootGuru.Net is not intended to be a substitute for professional medical advice, diagnosis or treatment. Always seek the advice of your physician or other qualified health provider with any questions about your medical condition. Do not disregard professional medical advice or delay seeking advice or treatment because of something you have read here. FootGuru.Net is a participant in the Amazon Services LLC Associates Program, an affiliate advertising program designed to provide a means for sites to earn advertising fees by advertising and linking to Amazon.com. Additionally, FootGuru.Net participates in Google AdSense and other affiliate programs, and we sometimes get a commission through purchases made through our links.